Posted on April 5, 2019 at 2:56 pm. SINGAPORE’S two biggest casinos are about to get a little bigger. 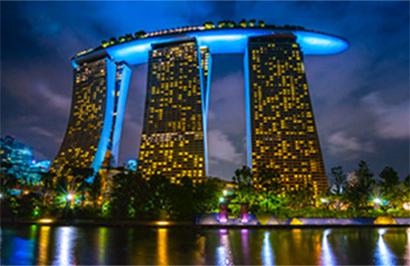 This week the Singapore Government announced plans that would see expanded gaming floors at The Marina Bay and Resorts World. Marina Bay will get an extra 1000 gaming machines with its extra space, while Resorts World will get an extra 800 machines. The news wasn’t all good for the casinos. While they’ll enjoy the extra space, tourist activity and the machines should add to their bottom line, the Government added some caveats to the news. The casinos will pay a higher tax rate on all gambling revenue and casino entry levies went up a whopping 50%. How big is the tax rate jump you ask? The revenue tax will increase from 5% to 8% for the first S$2.4 billion taken in. Any profit exceeding S$2.4 billion will be taxed 12% and if they climb above S$3.1 billion in revenue, they’ll be slugged 22%. Astronomical figures for astronomical revenue. There are fears a rise in the entry levies will cripple business… fears that saw shares in both casinos fall following the announcement.